yes, it is just perfect for No Kidding land! This is perfect for No Kidding land! So much truth in that quote. Thank you for sharing. I'm quite taken by this as well! I love, love, love that quote. I think it is so affirming for anyone who has been told to "just get over it" or "why are you still talking about this," because just because something is no longer controlling your life and impacting your every minute anymore doesn't mean the damage wasn't done. Just to go backwards on it. 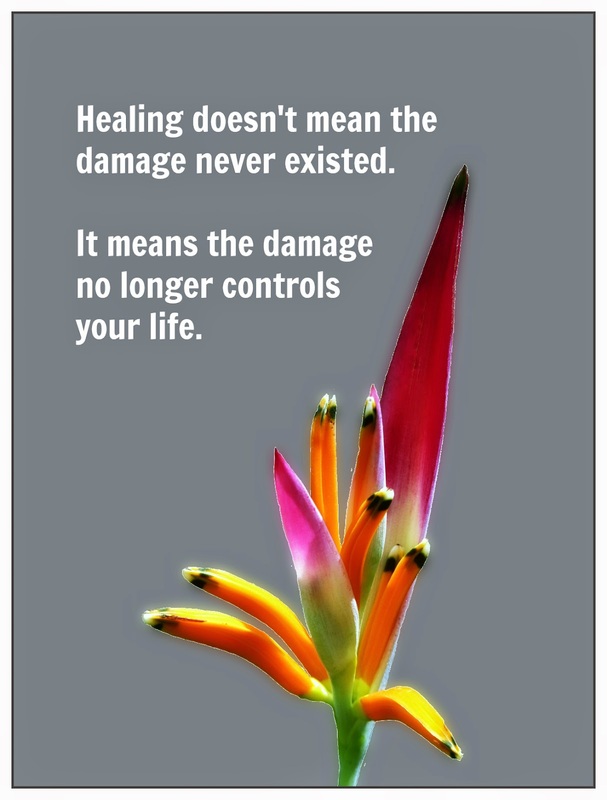 :) I also love the freedom of realizing that something damaging to you no longer has that control. What a beautiful feeling! Thanks for sharing such a great quote. totally perfect for here! I love it. I wish there were some additional parts like "healing doesn't mean you can poke endlessly at it without opening the wound again." It's a great quote. Oh, this is so spot on and so widely applicable.